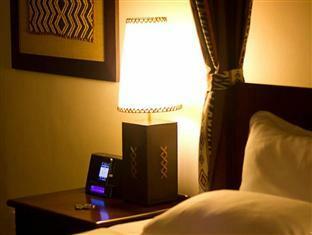 ﻿ The African Regent Hotel Accra. JIMAT di Agoda.com! Ada soalan mengenai The African Regent Hotel? 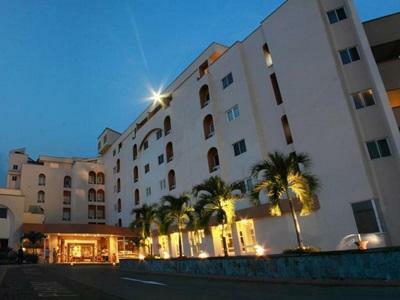 Jika apa yang anda cari adalah hotel dengan lokasi menyenangkan di Accra, cuma perlu lihat The African Regent Hotel. Dari sini, tetamu boleh menikmati akses mudah kepada semua yang bandar meriah ini boleh tawarkan. Pelawat yang datang ke hotel boleh melawat tarikan utama di bandar ini seperti: Nubuke Foundation, Alliance Française, Lapangan Terbang Kotoka - Accra. Di The African Regent Hotel, perkhidmatan yang cemerlang dan kemudahan yang unggul menjadikan penginapan anda tidak dapat dilupakan. 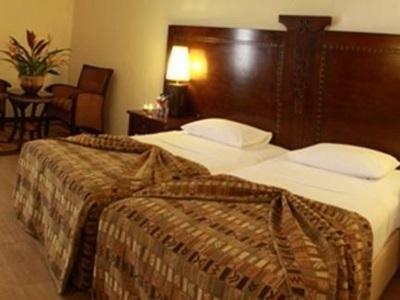 Khidmat bilik 24 jam, Wi-Fi percuma semua bilik, meja depan 24 jam, Wi-Fi di tempat awam, tempat letak kereta merupakan beberapa kemudahan yang membezakan The African Regent Hotel daripada hotel-hotel lain di bandar. Semua bilik tetamu menawarkan pelbagai jenis tahap keselesaan. Banyak bilik turut menyediakan televisyen skrin rata, internet wayarles, internet wayarles (percuma), bilik larangan merokok, penyaman udara untuk memuaskan hati tetamu. Senarai lengkap kemudahan rekreasi boleh didapati di hotel, termasuk pusat kecergasan, kolam renang terbuka, rumah urut, kolam renang (kanak-kanak). The African Regent Hotel merupakan pilihan yang bijak bagi pelancong ke Accra, menawarkan penginapan yang santai dan mudah setiap kali. l love the breakfast buffet. Workers are awesome. I stayed twice with family. It is a trustworthy Hotel. Staff went extra mile to make my stay memorable.....helpful, intuitive, passionate about their work and all around great group of people. Being across from Accra Mall was fantastic. I could walk to pick up things I needed for my stay. Very nice hotel, secure, friendly staff and clean. Good breakfast and ok lobby bar/coffee shop. Rooms were nice and i received free upgrade to junior suite...seperate lounge area. Ok gym and busy pool. Close to a couple of nightlife areas AM/PM bar and a roof top high rise venue that gives a great view. All round nice stay. Room service was terrible. Reception claimed that I had not paid for one of the two nights, whereas this is automatically done when booking through Agoda. too much overpriced for its class. for the same amount I paid, I could have gotten a 5 star accommodation in other countries. location is far off business district nor tourist area. (though walking distance, approx. 10-15 minutes to Accra Mall). cleanliness is okay except that you need to watch out for mosquitos. staff gave very poor customer service, from the bell boy, reception, restaurant.. they need to improve in their people skills i.e. customer service, need to smile more and talk gently/kindly. facilities include gym (though quite old), swimming pool, and business office. they also have art exhibit from time to time featuring local artists - I was able to buy 3 paintings by a young Ghanaian artist. Ligger godt ift lufthavn - kun få minutter derfra. Dejligt hotel med masser af afrikansk atmosfære og smuk indretning. Til trods for, at det ligger i et trafikalt knudepunkt og lige ved lufthavnen er der dejligt fredfyldt både inde og i det lille poolområde.